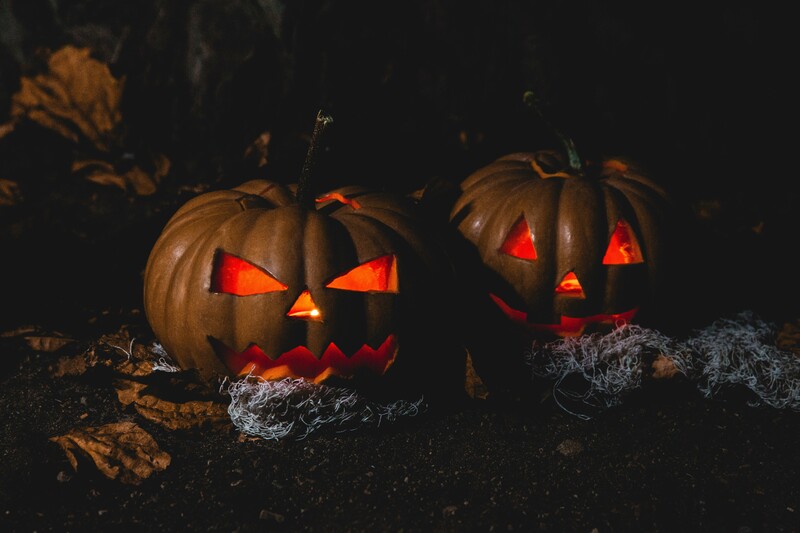 The first week of October is officially over and you’re probably looking around for fun and spooky Halloween fundraising ideas for your nonprofit. Halloween is the time of the year when you can really get creative and allow yourself to go all out with entertaining activities for donors and supporters of all ages. 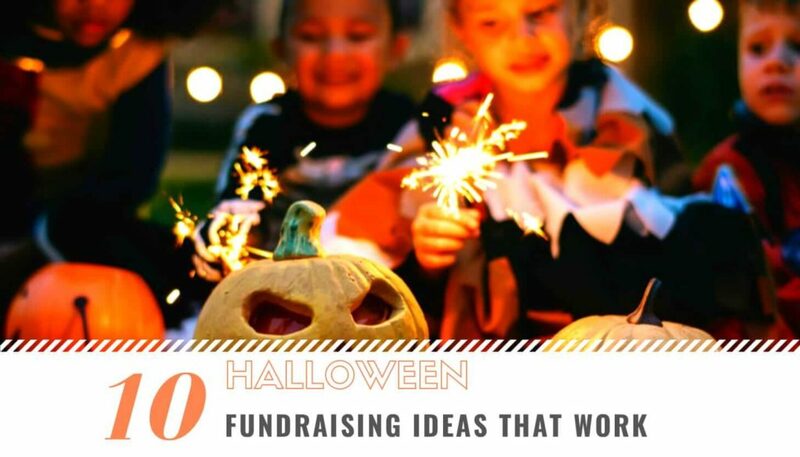 This Halloween, you can organize a big fundraiser or run small fundraising activities to raise some additional funds for your organizations, school, club, shelter, and more. Everyone is up for some fun this time of the year – and you can raise funds for your cause at the same time! Win-win. Starting with the basics… Nothing says fall time like pumpkins. This is why this fundraising idea is perfect for Halloween, but also fall and Thanksgiving fundraising. Host a pumpkin sale to benefit your nonprofit by ordering pumpkins in bulk from a local farmer. Then, sell those pumpkins at an appropriate public space (like farmer’s market) at a higher price to raise money. You could share the proceeds with that local farmer – this way the partnership will be mutually beneficial. Otherwise, you could get a big farm or a company to donate the pumpkins in which case all the proceeds will go to your nonprofit. 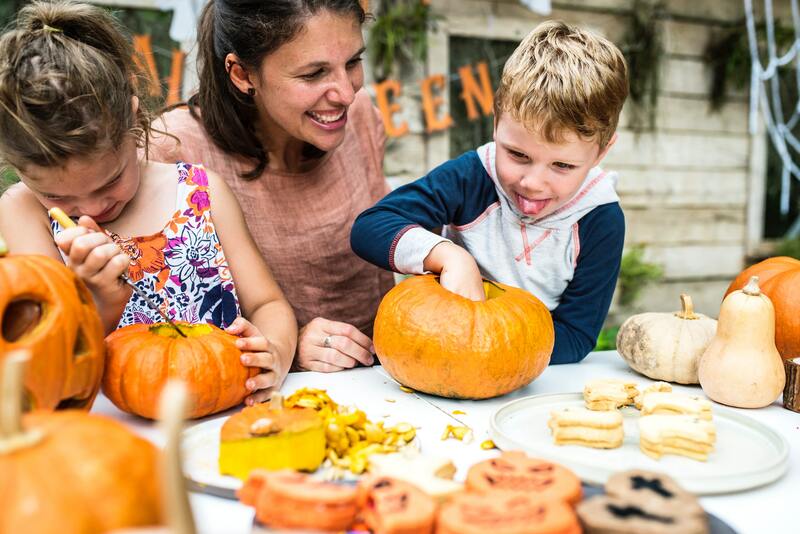 To go the extra mile, turn your pumpkin sale into a proper pumpkin patch where you will offer pumpkin carving (see below), fun activities for families, warm beverages and more. You can also have a concession stand selling candy apples, popcorn, and other fall favorites! Another traditional Halloween activity, pumpkin carving can bring in a lot of funds to your nonprofit. It is believed that the tradition of carving faces into vegetables dates back to the Celts. As part of their autumnal celebration, they wanted to light the way to their homes for the good spirits, so they carved faces into vegetables such as turnips and squash. You can organize pumpkin carving as an event within a pumpkin patch (see idea 1) or as a separate event. To organize pumpkin carving, you’ll need to source a location (a field would be ideal) and recruit volunteers to help on the day. Purchase pumpkins or get them donated and then have visitors select a pumpkin and carve it. For the guests to carve their own jack-o-lanterns, you’ll need pumpkin carving tools and patterns in addition to the pumpkins. You could also offer pumpkin painting for a fun twist! Your volunteers should be present all times to help families and other visitors with their designs and carving efforts. Charge an entry fee (reasonably high) since you’re providing all the implements to make a jack-o-lantern on the spot. Pro tip: Many pumpkin carving patterns can be downloaded off the internet for free. This unique and creative Halloween fundraising idea is sure to create interest and buzz amongst your supporters or within your local community. This idea will probably work best for community organizations, schools, and small local nonprofits, but nonprofits of all sizes can try it. It’s also a very low-cost idea that can bring in a lot of donations for your nonprofit. Have your supporters send you the photos of their porches decorated for Halloween. Charge participants for entering the contest and award the winner. This Halloween fundraising idea can also be turned into a social media campaign. Make sure you have a specific hashtag for the campaign. Everyone loves a good scare on Halloween. And creating a Haunted House is a great way to achieve that (and attract donations your way)! Source a location (a school, an office building, a big house – whatever works for your specific circumstances) and get started on transforming the space. – Halloween (October 31st) is a great day to run the Haunted House, but you can choose any date close to October 31st. Make sure you announce the date several weeks in advance so that your potential guests can plan for it. – Plan your path in the Haunted House. How will the path/maze look like? This is a good time to think about your audience. Consider who will be coming and then design your path appropriately. – Think of a theme and a story. Why is your Haunted House haunted? Perhaps there was an old lady murdered in the house or a family on their vacation. Perhaps the house was built on an old graveyard or it was an asylum. The options are endless. – Cover your walls in fake spider webs, fake blood, and bones, or anything Halloween-y. Make sure the lighting is dark and the music is ominous. The atmosphere should be eerie with creepy sounds and occasional moments of silence. – Enlist volunteers to act as ghosts, goblins, monsters etc. Have them jump out at guests and make scary noises or laugh maniacally. They can even grab at guests’ shoulders. If you want to make your Haunted House less scary and more fun, you could have your actors act silly, hit into walls, or organize activities like Musical Zombies or bobbing for apples. Charge admission fees and set cauldrons across the Haunted House (especially at the exit at the end of the tour) in case guests want to donate more. For a twist on this idea, you can organize a spooky Halloween party in the Haunted House (see below). A Halloween party is a great way to organize a fundraiser catered towards adults during a holiday that can sometimes seem ‘childish’ – and the theme is already picked out for you! 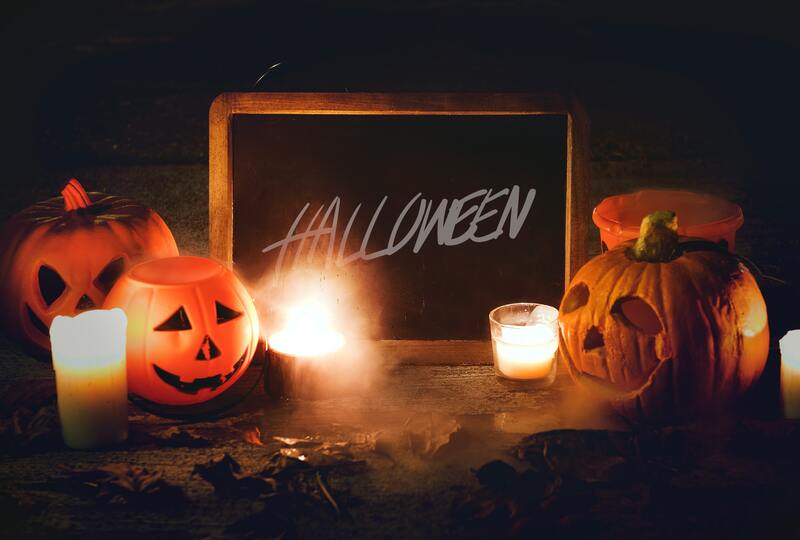 Halloween parties can also be an excellent opportunity for parents to get away from their children for an evening – which is usually appreciated. Put together an event team or a fundraising committee to start organizing the party. Make them in charge of everything from name to the venue. They’re the ones that will contact sponsors, decide on catering, select decorations, and more. 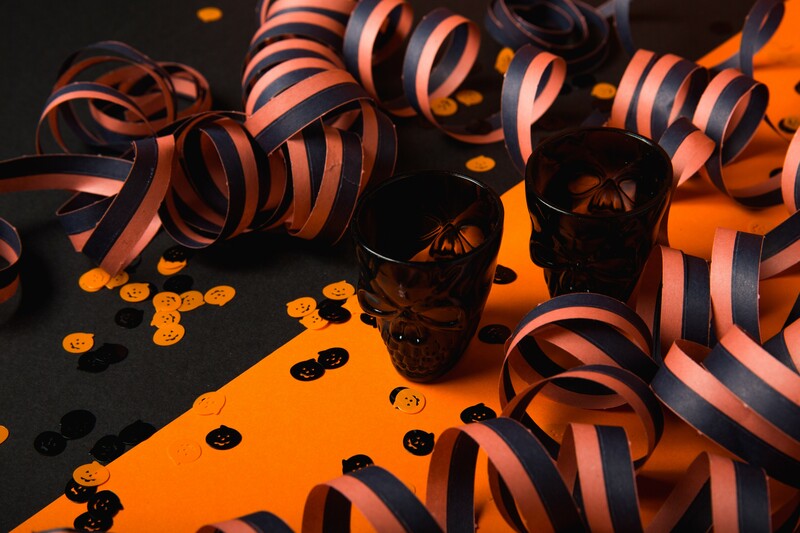 Start making your event fun right off the bat by sending out Halloween party invitations. Promote your event online and by distributing flyers – depending on the size and presence of your nonprofit and depending on your fundraising strategy. Award and give prizes to the scariest, funniest, and best overall costumes. You can also think of more categories. Those who come without a costume should pay a higher fee (all proceeds going towards supporting your programs). Hold a contest for the evilest or scariest laugh. Organize a scary treasure hunt. Sell Halloween-themed drinks: Charge additionally for “drink specials” with googly eyes and fake blood dripping off them. 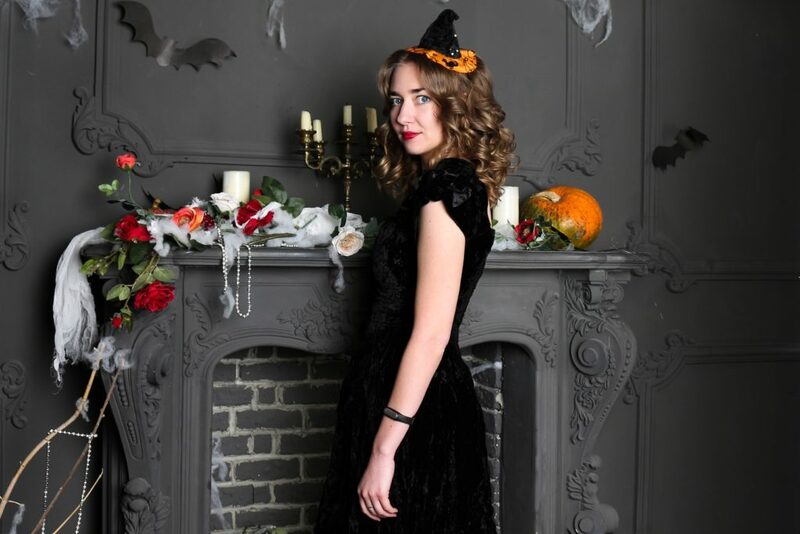 Set up a photo booth with a Halloween-themed backdrop for guests to take photos and share on their socials. Create a stockade and if a guest gets caught and locked in a stockade, for example, they must pay to get out. 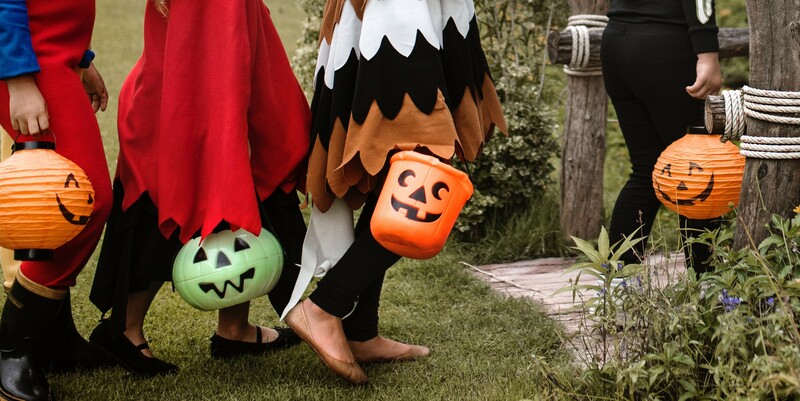 There are tons of ways you can make a Halloween party fun and filled with activities that are going to attract a lot of donations throughout the night. Runs can be a successful fundraiser for any time of the year. To make a run or a race Halloween-appropriate and to add a fun twist to it – make it a Zombie Race. Have all participants come dressed up as zombies and race to the finish line. Alternatively, you can organize a walk instead of a run. Bonus points for zombie moves! This is also a fundraising event that can generate a lot of buzz. As word of mouth spreads around, you’ll have applications pouring in. To make it even more interesting, you could organize the run/walk at night and have your volunteers come out at certain times and scare the participants. For alternatives, you could organize a zombie mud run dividing participants into humans trying to survive in a post-apocalyptic world and zombies looking to feed off them. For example, Cedar City Fire Zombie Run divided their participants into Humans and Zombies and used flags to make it easy to tell who won. The Humans run the race with a flag football belt. These three flags represent the vital organs: Brains, Heart, and Entrails. The Zombies are stationed along the race course trying to eat Humans’ vital organs (capture the flags). If Humans finish the race with one or more of their flags, they survive. If you’re a nature lover, an environmental charity – or you just want to completely flip this idea around, organize a Zombie Hike. Consider charging $25-$30 admission fee. It’s the season of a warm beverage brought to popularity by Starbucks – the pumpkin spice latte. Some couldn’t wait for this time of the year, and some believe it’s an offense to all things coffee. Whatever side you’re on, the popularity of the drink is unquestionable. And not only the drink; there are also pumpkin spice candles, body washes, soaps, chocolates, and more… Pumpkin spice everything! Those who want to keep their processed sugar intake low or just don’t want to drop $5 per day on pumpkin spice latte do not need to worry! 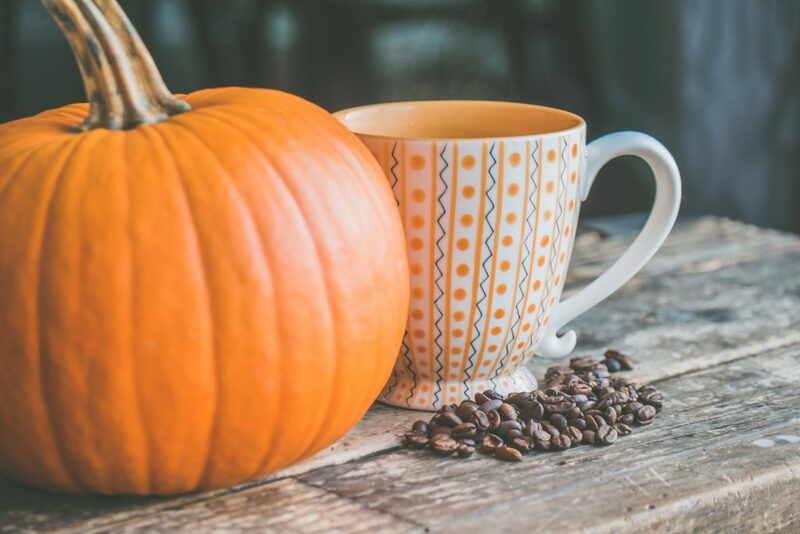 There are tons of homemade recipes for pumpkin spice lattes, and these can be very delicious. You could host a tiny workshop where you teach community members how to make their own pumpkin spice latte, and add their own Halloween twist to it. You could sell Halloween-themed mugs during the workshop. Charge an entry fee, and observe the donations pouring in! Alternatively, you could organize a contest where participants would compete in creating the best Halloween pumpkin spice latte or the best pumpkin pie. If you want to make this idea bigger, partner with a local coffee shop or even a coffee shop chain. Create a special Halloween warm drink with them and have the proceedings (or part of them) of the sale go to your nonprofit. As the days get colder and Halloween approaches, our inner cinephiles wake up and are ready to cozy up under our blankets with a mug of hot chocolate in hand. To capitalize on this sentiment, organize a big horror movie night and charge admission fees to raise funds. First, consider your audience. There are so many different types of horror movies out there, and some are not appropriate for children. You can either go with the classics or play on novelty. If you decide to go with something new, look for a horror movie that came out within the last year. Choose a venue and make sure there’s enough seating for your audience. Chances are the weather won’t be warm enough to organize a movie night outside, but if it is – consider it as an option. Otherwise, look for a movie theatre ready to donate the space for the night or another big space where you can put up a movie screen. Decorate the space with the colors of the season (black and orange), as well as cobwebs, fake blood, goblins, zombies, witches, and more. To raise even more funds, sell Halloween candy and popcorn. And to make the night memorable, plan a trick on your guests that will coincide with the theme of the movie. For example, you could set up a phone to ring during the screening of “The Ring” or a clown passing behind the screen or through the door during the screening of “It”. Pro tip: Any showing of a film for profit (including your nonprofit organization’s profit) will put you in violation of copyright laws. To book a film for public showing, you must contact an independent film broker who will get you the film, charge a fee for the process and report your box office receipts to the owner of the film. We can’t forget about the witches when talking about Halloween! Organize an entirely witch-themed event. You could start with a witch parade (everyone dresses up as witches and warlocks) ending in a witch party. Serve drinks out of cauldrons, and have brooms and spellbooks lying around. You could even organize live owl demonstrations (stay ethical when handling the animals) and themed activities including potion-making and spells. Charge an admission fee and charge additionally for other activities. For example, you could sell customized potions and spells to participants (of course, it’s all just for fun – so make sure everyone knows that). In addition to the parade and the party, you could organize a spooky witch-workshop for broom-making and wand-decorating. Selling Halloween treats is a simple and popular way to raise money while spreading awareness for your nonprofit. You could either have a local baker or a sweets shop donate Halloween baked goods and treats that you can then sell: mini cupcakes, mini pumpkins, marshmallows on skewers decorated with melted chocolate to make ghosts and jack-o-lanterns, pumpkin pops, Halloween lollipops, googly candy eyes and more! If you want to take it to the next level, there are many companies out there that will sell these for you or that you can order from in bulk. Packaged chocolate bars are by far the most popular fundraising candy both in terms of popularity with customers. However, put a little research into fundraising candy sale options. Review previous fundraising statistics to determine what the best sellers were in years’ past! Trivia is very popular these days, can be tailored to most audiences and is relatively simple to organize. Choose a theme and questions that are Halloween-themed. All participants should pay an admission fee. Prepare an award for the winner. When thinking of the theme and the questions, think scary movies, Edgar Allan Poe stories and poems, and other classic scary literature. Another fun one could be Harry Potter! Find a venue large enough for your group and publicize the event in your community. Encourage your participants to dress up according to the theme. Hire a band to add to the fun and the atmosphere. Awarding teams a BONUS POINTS for each team member that is wearing a Halloween costume. When it comes to securing funds for your organization – especially during Halloween, don’t be afraid to get creative! While it’s important to do what’s tried and tested, this time of the year calls for innovation and fun. Think about what your donors and supporters would appreciate and enjoy and give yourself the opportunity to go outside of the box when it comes to this year’s Halloween fundraising. Regardless of which idea(s)you choose – however small, they all take effort, focus, and commitment. Halloween is an ancient tradition that has become a thriving multi-billion dollar industry. This makes October a great month to hold fundraisers. Sometimes, it’s difficult to come up with unique Halloween fundraising ideas that have the potential to be successful, but we hope this article helped you begin to understand your options so you can start planning your Halloween fundraising. Use your imagination and don’t miss out on getting a piece of the multi-billion dollars pumpkin pie! Choose Donorbox as your donation system and check out our Nonprofit blog for more nonprofit resources and tips.